That time of year is almost upon us, where pastels takeover and flowers begin to greet the sunshine! 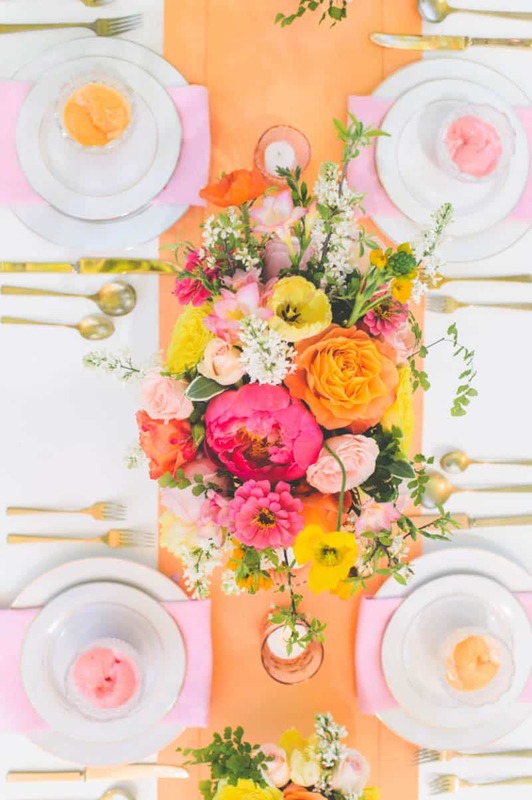 What better way to welcome the fresh and fun spring time than with a colorful spring tablescape! Bright colors and blooming flowers are not just mood boosters, but also the perfect touches to brighten up your dream wedding! Your guests will ‘ooh and aww’ over all of the unique, chic details of a fresh spring time look! Because let’s face it, you can never have too many spring florals or bright colors! Has this inspired your spring wedding? We would love to hear more! Leave your comments below. THEY GOT THE BEAT: 10 ALTERNATIVE JAZZ BANDS THAT ROCK! It’s impressing that you’ve shared great photos from different wedding tables! I love them! Very inspiring tablescape ideas for engaged couples!